JL Doing What Boston Does Best - Happy Marathon Monday! 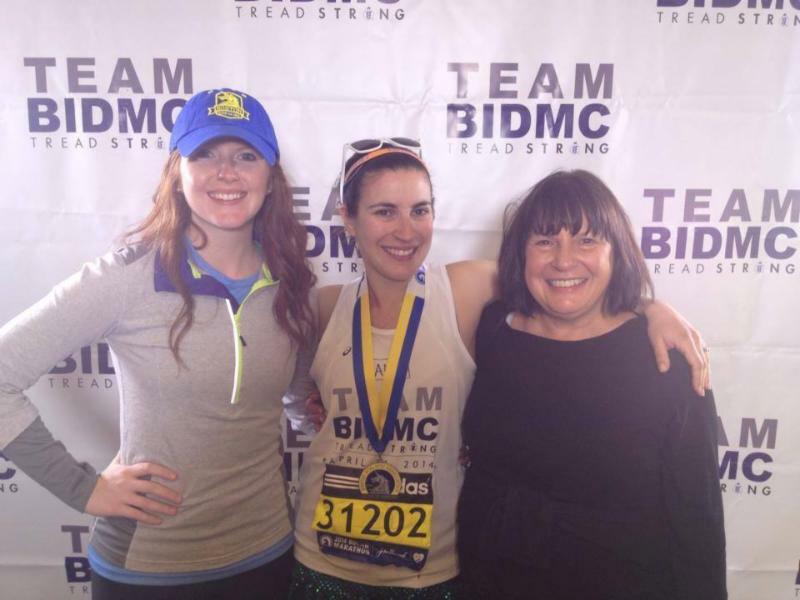 - The Junior League of Boston, Inc.
A previous year’s JL Boston runner! It is impossible to forget the collective pain our city felt April 15, 2013. But, as Bostonians, we managed to harness that pain in to something even more powerful – fortitude. From the people who, after running 26.2 miles, ran an extra mile to donate blood for victims to the scores of thousands who donated to OneFund Boston to help victims defray the cost of their injuries, Boston rallied to do whatever it could to support those who suffered in the face of tragedy. Our city’s ability to find strength in adversity is actually nothing new. If you didn’t see Stephen Colbert’s take on the bombing, he says it all perfectly. He argues that our cultural unwillingness to accept defeat started in the first brutal winters of the Mass Bay colony and continued through an 86 year baseball losing streak. In short, Boston fights back. As a non-native Bostonian, JL Boston has been a great resource for learning the ways of this tough-cookie city. It started on the day of the bombing when I was able to share my own shock and heartache with my fellow members (many of whom were, like me, on Boylston St that afternoon) and find familiar and comforting faces in mayhem that ensued afterwards. As more time went by after the bombing, the League helped both its members and the community to feel normal again by sponsoring a group of comfort dogs on the Common. Several JL Boston members ran the 2014 race and plan to run today to raise money for various charities around the city. Finally, a group of members staked out a spot in Audubon Circle last year to cheer for the tens of thousands of runners who just wouldn’t take “no” for an answer. All this on top of the work the women of JL Boston do every other day of the year to make their community great. For the past 15 years, I have been honored to call Boston my home. In the past 2 years, I finally understood why. -Lyn Huckabee joined JL Boston in 2004 and currently edits the JL Boston blog.